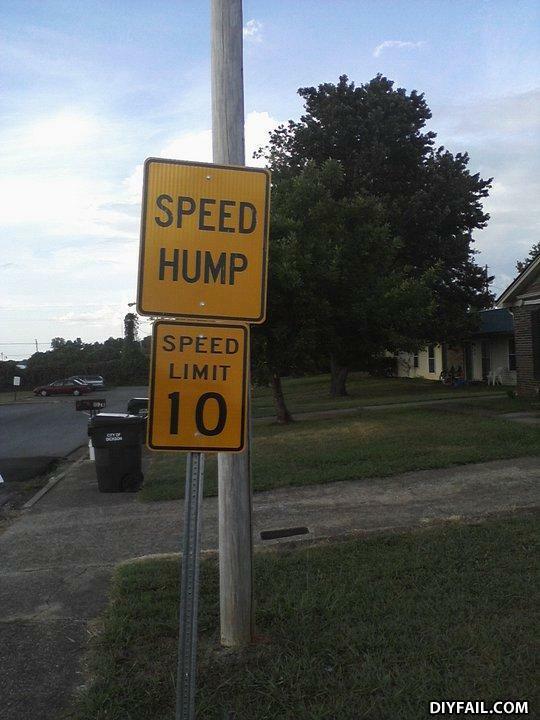 There should be no speed limit for a speed hump. Let Darwinian effect take care of itself. if i have 2 bananas, and you have 2 bananas, then together we have 4 bananas what are the chances?